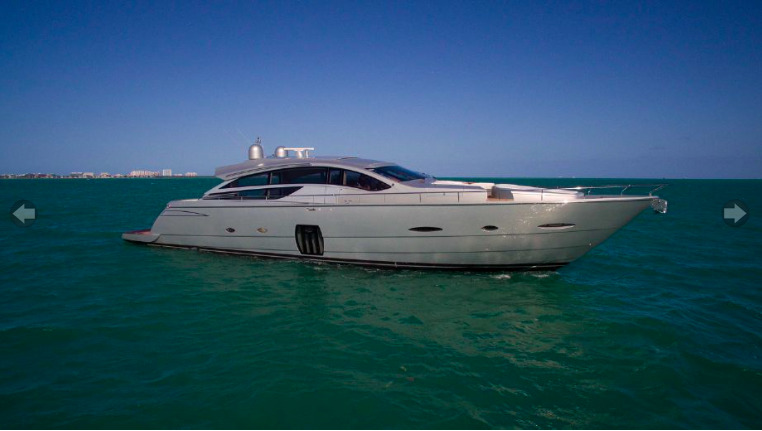 80′ Pershing has a stunning interior and exterior. 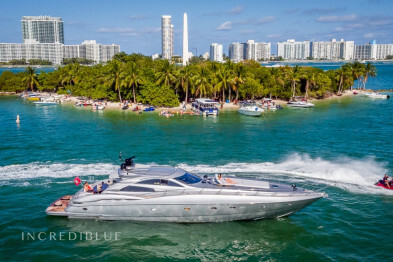 The large swim platform offers easy access to the water and back to the main deck. Lots of relaxing area, sun-pad area and comfortable seating areas surrounding adjustable table, ideal for afternoon drinks, or “al fresco” dinners. 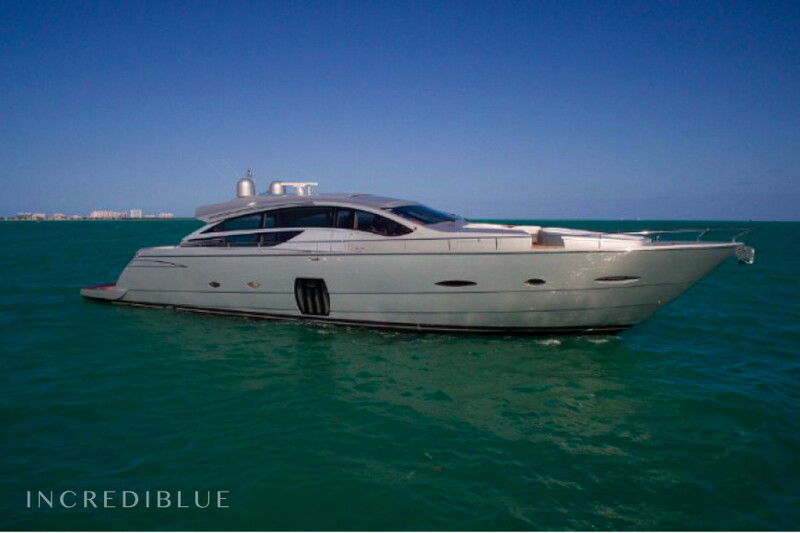 80′ Pershing has a full sliding hard top shade available to protect you from the sun and can be used at high speeds. Highway sliding door is opening all the way to connect main area and deck area. 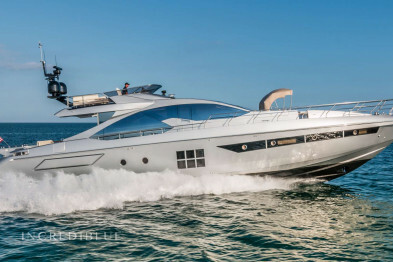 80′ Pershing has a unique, modern design. Large lounge area with sofas, TVs, oak furniture and wedge floors are unequivocally modern Italian. Downstairs you will find a large Master Bedroom area with panoramic windows to the floor. 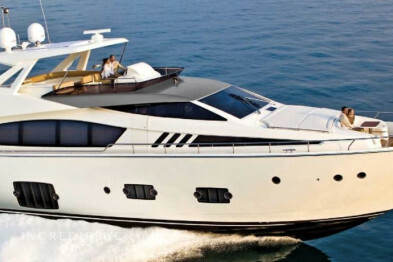 Total of 4 staterooms available. 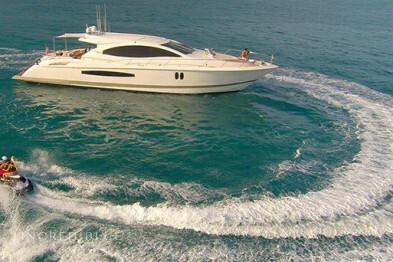 80′ Pershing is available for Half Day Charter ( 4 hours), Full Day Charter (8 Hours) or Multi Day Charters to Bahamas.